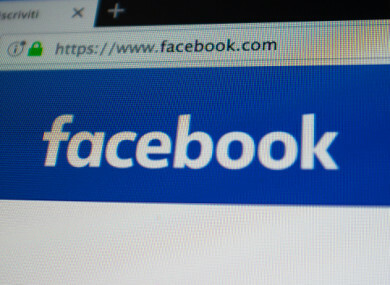 FACEBOOK HAS SAID it believes up to 87 million people’s data was improperly shared with the political consultancy firm Cambridge Analytica. It was previously thought that in the region of 50 million users had been affected. Last month, the New York Times and Britain’s Observer and Guardian newspapers detailed how Cambridge Analytica stole information from tens of millions of Facebook users’ profiles in the tech giant’s biggest-ever data breach. The firm, best known for its work on Donald Trump’s US presidential election campaign, used the data to help them design software to predict and influence voters’ choices at the ballot box. Meanwhile, its CEO Alexander Nix was suspended after being secretly filmed by Channel 4 allegedly touting the use of bribery and entrapment to swing elections. Today’s announcement details steps the tech giant says it is taking to protect people’s data. Some of the changes include alterations to how groups and event pages work on the social network. The statement notes: “Currently apps need the permission of a group admin or member to access group content for closed groups, and the permission of an admin for secret groups. These apps help admins do things like easily post and respond to content in their groups. “However, there is information about people and conversations in groups that we want to make sure is better protected. Going forward, all third-party apps using the Groups API will need approval from Facebook and an admin to ensure they benefit the group. Apps will no longer be able to access the member list of a group. And we’re also removing personal information, such as names and profile photos, attached to posts or comments that approved apps can access. In terms of events, the statement notes: “Until today, people could grant an app permission to get information about events they host or attend, including private events. This made it easy to add Facebook Events to calendar, ticketing or other apps. “But Facebook Events have information about other people’s attendance as well as posts on the event wall, so it’s important that we ensure apps use their access appropriately. Starting today, apps using the API will no longer be able to access the guest list or posts on the event wall. And in the future, only apps we approve that agree to strict requirements will be allowed to use the Events API. Earlier today, the US House Commerce Committee announced that Facebook’s co-founder and CEO Mark Zuckerberg is due to testify before it on 11 April. Email “Up to 87 million people impacted by Facebook data breach ”. Feedback on “Up to 87 million people impacted by Facebook data breach ”.